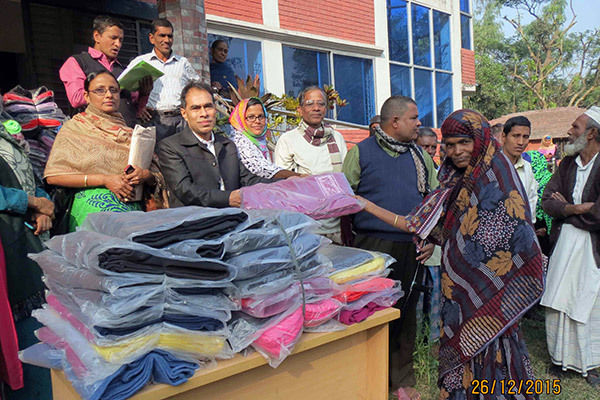 YPSA with support from BSRM distributes 300 warm blankets to the poor including persons with disability, fisherman, children, age-old and ethnic minority since winter has arrived and it is the misery of the poor people of Bangladesh who cannot afford to get warm clothes. The distribution was held at the YPSA HRDC Sitakund Campus on 26 December 2015. Representative from BSRM Ms. Ruhi Ahmed, Chief Executive of YPSA Md. Arifur Rahman; Director (SDP) of YPSA Md. 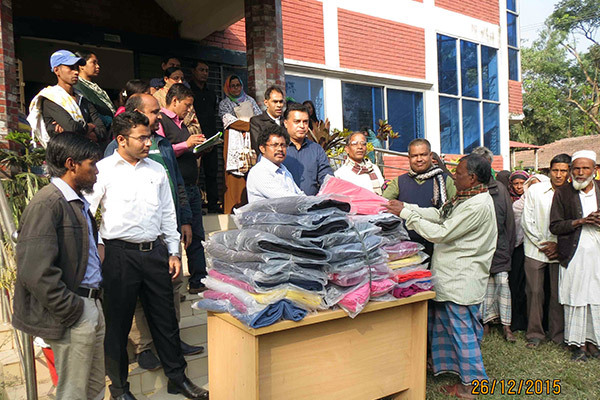 Mahabubur Rahman; a team from Dhaka University; President of Sitakund Federation of DPO Babul Dev Nath and Program Officer of YPSA Newaz Mahmud were present in the winter clothes distribution program.